Valve's mighty Portal video game is coming to Android. This is huge. 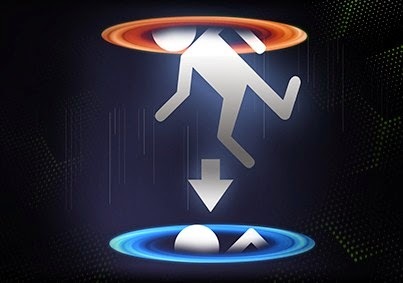 In a recent briefing, NVIDIA has announced the imminent arrival of Portal for Android through NVIDIA SHIELD gaming console. The announcement about its new partnership with Valve was done by NVIDIA at the GPU Technology Conference (GTC) currently being held at Silicon Valley. NVIDIA SHIELD is an handheld gaming console from NVIDIA which boasts of an open gaming platform. It also runs Android operating system and has over 300 well-supported games from Android. At GPU Technology Conference (GTC) currently being held at Silicon Valley, NVIDIA has announced the imminent arrival of highly-acclaimed Portal video game for NVIDIA SHIELD (and Android) through its partnership with Valve. "NVIDIA has created a very powerful and unique device with SHIELD," said Doug Lombardi at Valve. “Our companies have a strong history working together and we’re looking forward to Portal‘s arrival on SHIELD." It is not clear whether Portal will remain an exclusive for NVIDIA SHIELD. Portal will be joining over 300 SHIELD-supported Android games currently available. Recently, Valve had also released Portal on Linux through Steam platform. Purchase SHIELD from NVIDIA Store.